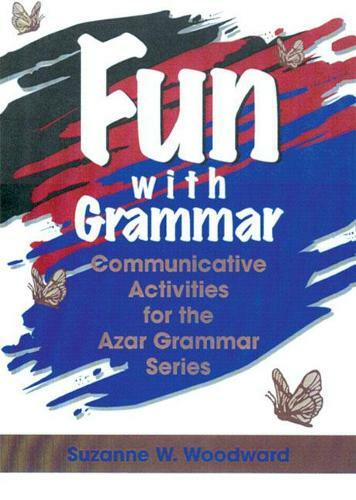 Fun with Grammar is an exciting teacher's resource book that adds a whole new dimension of fun to grammar classes! More than 200 communicative, interactive, task-based games, can be used in the classroom to make learning grammar fun. These activity ideas - contributed by grammar and ESL teachers - are all classroom-tested, student approved, and complete with step-by-step instructions. All activities are keyed to the three levels of the Azar Grammar Series, by Better Schrampfer Azar - Red for Beginning, Black for Intermediate, Blue for Advanced - and have time allocations so teachers can choose those that fit their class needs.